Your family’s comfort is important to you, and no other HVAC company in the region understands your family’s air conditioning and heating needs like Wilson’s does. Families and companies all over Columbia, Lexington, Pomaria, Newberry and the nearby areas have trusted Wilson’s for their heating and cooling needs for more than three decades. Whether you are thinking about installing a new HVAC system, replacing your air conditioner, or just need heating services, Wilson’s has you covered. Wilson’s Refrigeration and Air offers a wide range of services to help you. Wilson’s installs HVAC equipment from the best manufacturers in the business. Our HVAC experts begin by conducting an assessment of your home or office building to determine your precise needs. So choosing the perfect system for your structure can make a huge difference in the equipment’s heating and cooling performance. Years of wear and tear can take a toll on even the very best HVAC equipment. If your air conditioning or heating system does not seem to be running like it used to, you can rely on Wilson’s for fast and thorough repair services. So no matter the time of day a heating or cooling problem occurs, we’re on call 24-hours a day, 365 days a year to get your comfort back on track. A heating and cooling system is one of the biggest investments homeowners can make. 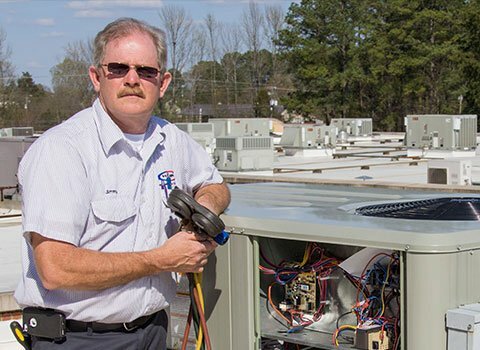 Following a basic routine maintenance schedule can extend the life of your equipment, and prevent costly HVAC repairs and replacements down the road. A Wilson’s technician can make a maintenance schedule recommendation just for you. This will be based on your current system’s condition as well as your specific needs and circumstances. 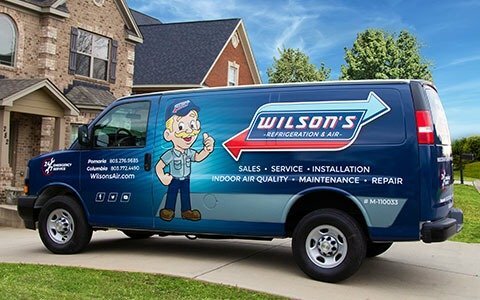 For over 30 years, Wilson’s Refrigeration & Air has built a reputation of solid customer service and high-quality standards. So if you are in need of A/C and heating repair, replacement, or installation, you can trust Wilson’s to take care of you the way you should be. Contact us now to get the best heating, air conditioning, refrigeration services in the Midlands. Do you need an HVAC inspection?